This past summer, I read online that the breed of hamsters I own runs more than any other breed: “an equivalent of four human marathons each night on average.” With hopes of figuring out what exactly the “hamster equivalent” of a marathon is, I did a study on my hamster’s gait. 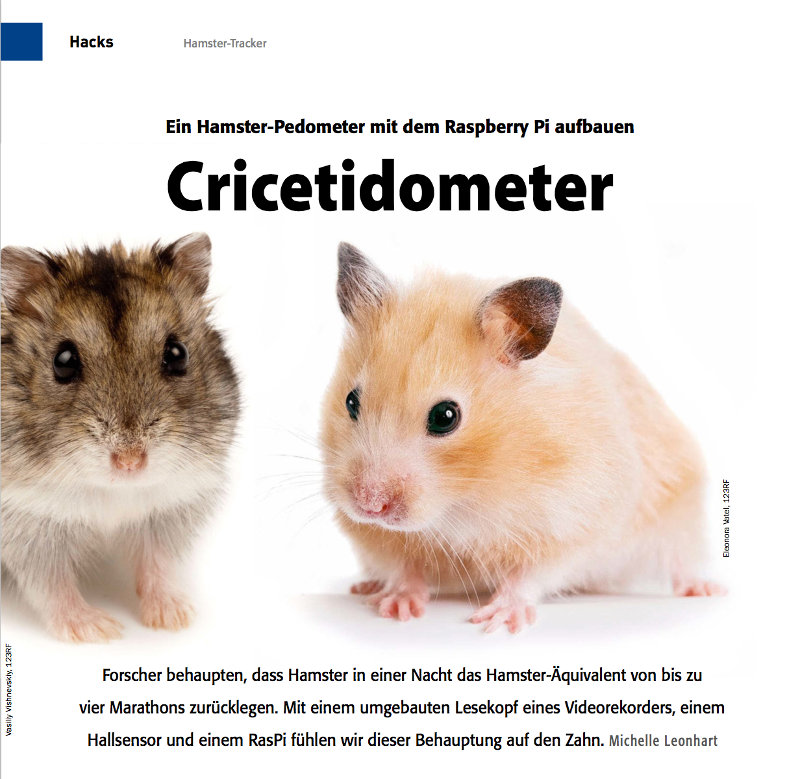 And finally, with hopes of discovering whether or not there was any truth behind The Internet’s claims, I built a small Raspberry Pi-powered pedometer and stuck it on my hamsters’ wheel. 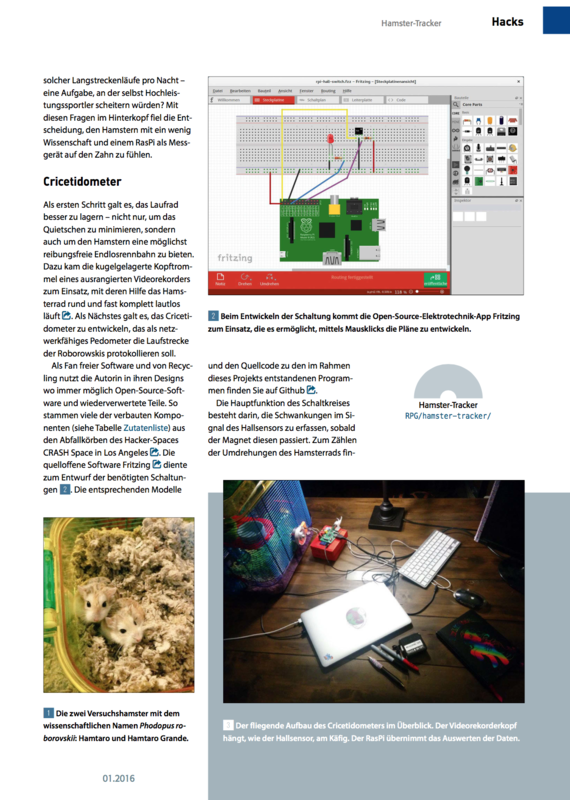 This month, the lucky portion of you who can read German can check out a 5-page spread on my DIY hamster experiment in the latest issue of Raspberry Pi Geek! If you want, you can buy the latest issue here. 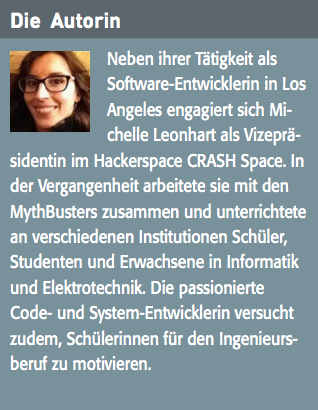 You can also see the (less cool ’cause it’s not in a real paper magazine) version of the article here. ← Barb Makes Things: New YouTube Channel!